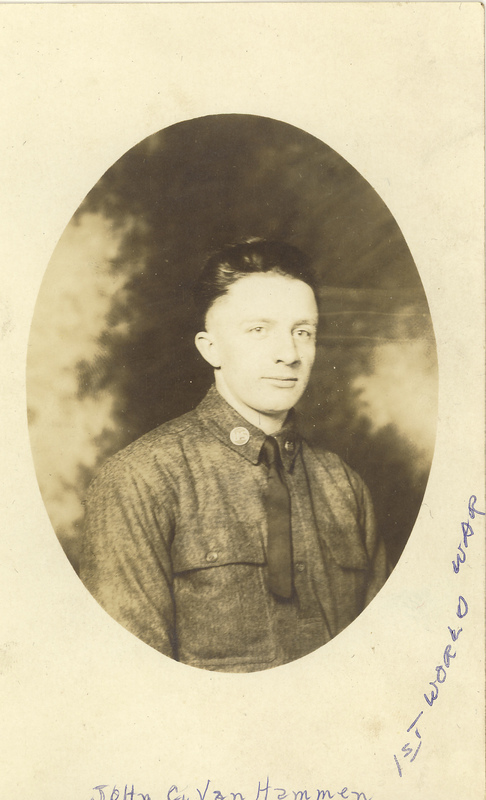 John VanHammen's photo shows him in uniform. His name is handwritten at the bottom, and World War I at the lower right. Title by cataloger. Note indicates that the photo may have been taken either at Camp Custer in Battle Creek or in England. John VanHammen was a combat engineer in the Polar Bear Division.